Produced by Colin McCaffrey at the Green Room in East Montpelier, Home is a gentle album with intricate instrumentation. String arrangements and vocal harmonies are delicately balanced with guitar rhythms and strolling double bass lines. Millwood credits McCaffrey as "the antidote to my doubt and inhibition." The two work well together — you can hear their mutual trust in the grace of the recordings. The songs are catchy yet genuine, with the heart-wise sweetness of '90s folk and country artists such as Alison Krauss, the Dixie Chicks and Nanci Griffith. Millwood's vocals are as flawlessly delivered and emotionally moving as any radio star's. The title track opens the album with a warm, upbeat tone and sonically captures the yearning for the comfort of a loving home environment. "Built on Sand" deepens the excursion into emotional territory. It's a beautiful country waltz, complete with romantic violin and mandolin melodies. McCaffrey's layers of instrumentation are seamless; Millwood's voice dances easily over the strings. Home includes a handful of covers by folk singers Antje Duvekot, Molly Venter and Patty Griffin. Millwood and McCaffrey's interpretation of Duvekot's "Reasonland" is quite pretty, substituting viola and violin for the vocal harmonies of the original version. Millwood's voice subtly shifts the feeling of the song from mournful and tired to hopeful and transformative. Griffin's "Mary" loses its original '90s electronic-pop elements and becomes traditionally arranged around bass, mandolin and violin. "The Trees They Do Grow High" is a beautiful take on a traditional English folk ballad with a lovely banjo melody. The lyrics are a disarmingly dark glimpse into the past, a tragic tale of a lady married to a much younger lord. 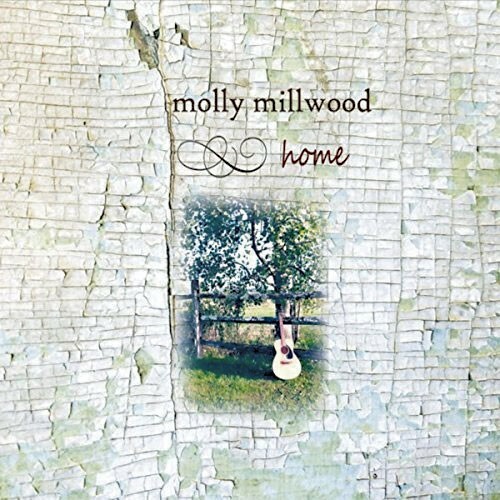 While the covers are thoughtfully accomplished, Millwood's original songs shine. "Falling" is a brave confession of love, perhaps a more difficult emotion to express genuinely than heartbreak. The song is simple and classic yet somehow doesn't feel derivative — it's easy and relatable. "Be Still" also has a strong tenderness, describing the movement of the heart in connection to a loved one. Millwood's bravery truly makes listening to Home a comforting experience, creating moments that transcend emotional barriers. Home is available at cdbaby.com.